Just in case you were wondering, Vietnam is seriously impressive. And while it’s no secret that the mainland is home to incredible culinary adventures, friendly locals, and endless fields of rice paddies – all with an affordable price tag – it’s the islands of Vietnam that are starting to appear on travellers’ radars. Offering more than just a few beaches where travellers can enjoy a sun-soaked holiday, each island showcases the very best traditional villages, centuries-old temples, or vibrant forests; and we’ve ranked 10 of Vietnam’s islands that you need to visit, as it’s all about making sure you head to the right island for you. How to get there: Cat Ba Island is a 4-hour drive from Hanoi, and you can catch a local public bus. Most group tours will travel here on a tour through Vietnam, and for a good reason: it’s downright amazing. Spending the night on a traditional junk boat floating through Ha Long Bay is a quintessential Vietnamese experience that you need to add to your agenda, especially if it means a visit to Cat Ba Island. With limestone pillars jutting out of the surrounding emerald waters, and jungle terrain protected by national park status covering most of the island, this island is a hot-spot for travellers, but don’t let its popularity deter you. If you want to spend time lazing by the water, be sure to visit Cat Co 1 and Cat Co 2 beaches during your stay on the island. If active adventures are your calling, be sure to visit Cat Ba National Park and enjoy a day of trekking, caving, and rock-climbing. How to get there: From Ho Chi Minh City, you can jump on a bus with a change to a ferry. Phu Quoc is a Vietnamese island where you come to do absolutely nothing, and if you’re searching for a Koh Phangan-style party island then steer clear, as this is not the place for you. This dreamy island is located near the coast of Cambodia and is home to the very best marine life in Vietnam, and Phu Quoc is the ideal place to get acquainted with puffer fish, crustaceans, anemones, moray eels, and other sea creatures found below the surface. The options are to snorkel or dive, or you can laze about on the powdery white sand beaches, especially those at the north of the island that is far less crowded than those in the south. And let’s not forget about the must-try seafood dishes that will delight food lovers. 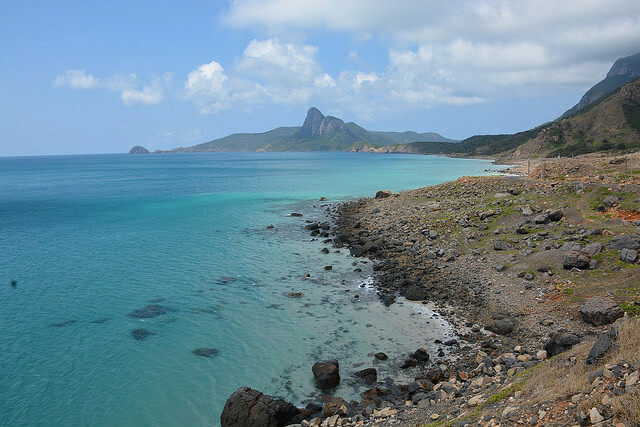 How to get there: Con Dao is about 179 km far from Vung Tau and 230 km from Ho Chi Minh City, easily accessible by road. This archipelago of 16 islands might be famed for its crystal-blue waters, superb hiking trails, and scuba diving spots, but the islands’ other claim to fame is the infamous Con Son prison that housed multiple political prisoners from the colonial and wartime years. Today, the prison stands as a sombre reminder of the past, yet the combination of flawless scenery and dark history make Con Son island a must-visit destination. How to get there: Travellers will need to make their way to Quang Ngai City, located 133 km away from Danang. From there, visitors transfer to Sa Ky Harbour 20 km away and catch a ferry to the island. 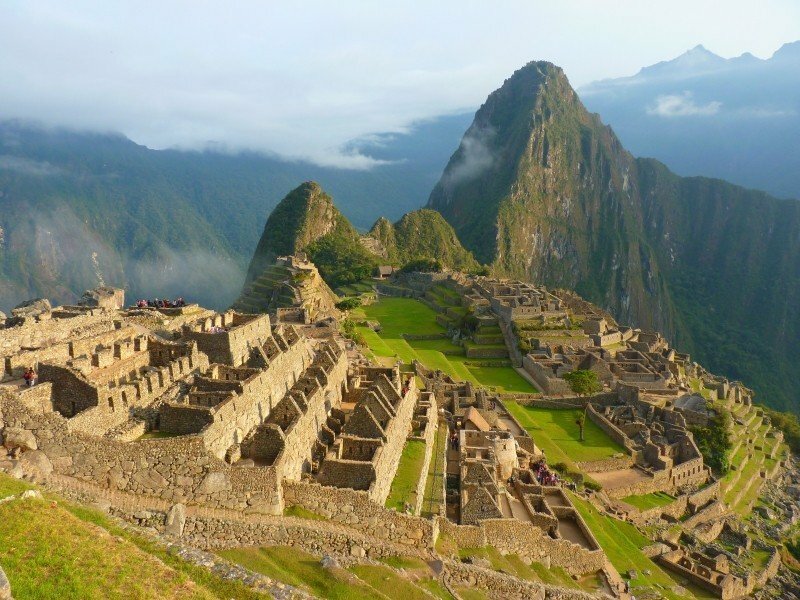 If you’re not a beach-goer, or if you prefer visiting smaller towns and uncovering unique cultural experiences, make sure you check out Ly Son, also known as The Kingdom of Garlic thanks to its most famous crop. Across Ly Son, you’ll smell garlic everywhere, you’ll see garlic growing in neat little rows planted in the volcanic soil, and you’ll undoubtedly taste garlic in most dishes, as it’s a feature of almost all meals on the island. What Ly Son lacks in perfect swim spots, it makes up in for it with its panoramic views of Mount Thoi Loi, traditional pagodas, and affordable local restaurants. 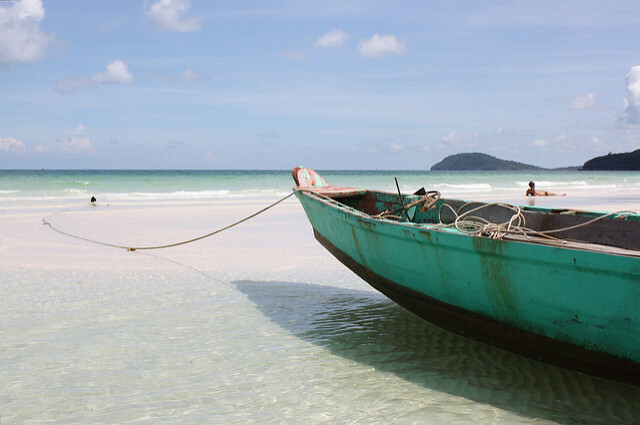 How to get there: The Nam Du Archipelago is located 40 km from Phu Quoc Island. From Ho Chi Minh City, you can fly to Rach Gia Airport and then take a bus or taxi to Rach Gia wharf and catch a ferry to Nam Du. If you want to escape the modern grind, Nam Du Island gets our vote as one of the best places for an island escape. But be careful, as Wi-Fi is hard to find, phone service is almost non-existent, and electricity will not be available 24/7. So if you do make it to Nam Du, be prepared with a book and find yourself a spot under a palm tree to relax. How to get there: Fly into Nha Trang, and you can jump into a taxi and head to Ba Ngoi port. The journey is just 15 km, and it just takes under half an hour to arrive there. Binh Ba Island, or Lobster Island, is the place where foodies go to enjoy copious amounts of fresh seafood (including lobster, of course) while relaxing on the smooth, white sand beaches. Just 15 kilometres south of Nha Trang, this island has yet to be hit with a tourism boom so you can enjoy the local experiences without battling the crowds that other destinations struggle with combating. During your stay, don’t miss the morning Binh Ba market, where you can find the best fresh seafood; a true culinary treat. How to get there: The islands are about 30 minutes from Chua Dai Beach via express boat. 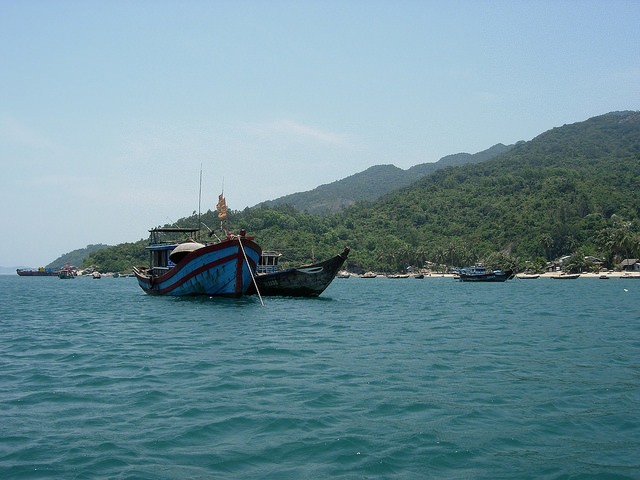 There are also numerous tour companies in Hoi An and Da Nang that organise day trips to Cu Lao Lam Marine Park. This little cluster of eight islands near the coast of Hoi An was once closed to the public and heavily-guarded, but today they host many avid divers and snorkelers for both overnight stays and short day trips. If an overnight stay doesn’t interest you, spend time in Hoi An, as it’s the only place in Vietnam where you can sample the oh-so-delicious Cao Lau and Com Ga.
How to get there: The trip from Ho Chi Minh City requires an eight-hour bus ride followed by a quick ferry. 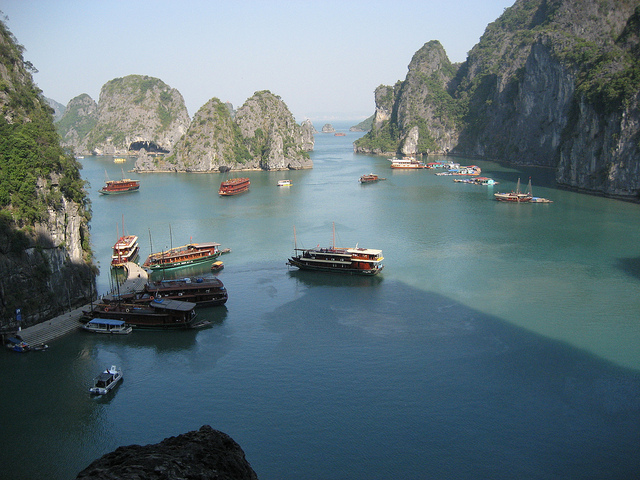 Some might refer to the Ba Lua Archipelago as the Ha Long Bay of the South, but it’s just as impressive in its own right. The area consists of three large islands (Heo islet, Ngang islet, and Nhum Ba islet) and several smaller ones, and when the tide is low, visitors can walk over the sandbars to explore another island. 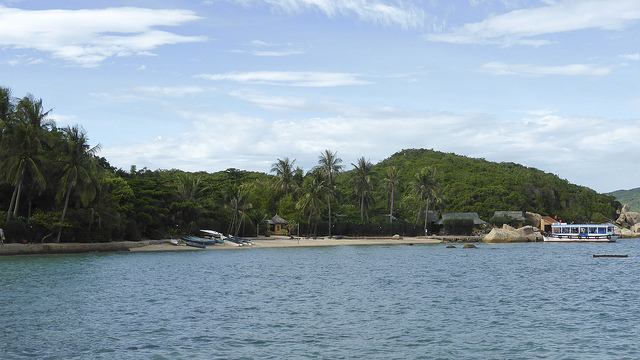 How to get there: Located 100 km north of Nha Trang, the island can be accessed from Dam Mon pier where you can catch a private or public ferry to the island. Either before, during, or after your next tour through Vietnam, you need to make time for a visit to Whale Island; especially if you are a scuba diver! Located just an hour’s drive north of Nha Trang, you’ll find the idyllic Whale Island, and it’s most famously known for its incredible scuba diving spots for all abilities. Between April and July, whales and whale sharks make their way to the archipelago to feed on krill and plankton, and the area is also home to an abundance of clownfish in their anemones, grouper, trevally, and snapper, to name a few. 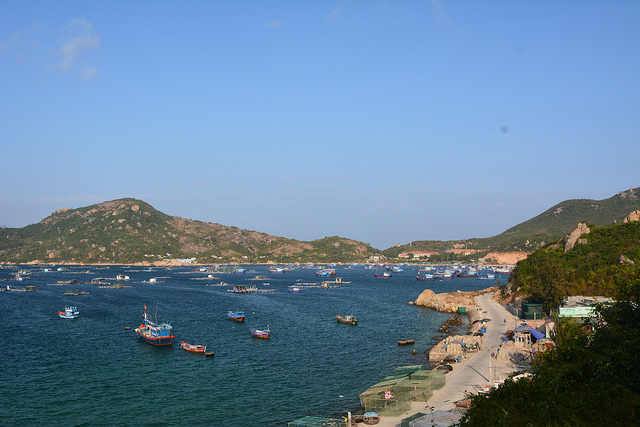 How to get there: You can catch a bus, plane or train to the city of Cam Ranh, then jump on a ferry to the island. Remote, wild, and beautiful, Binh Hung Island is a place reserved for spirited adventures. First of all, there are no commercial hotels on this island. At all. 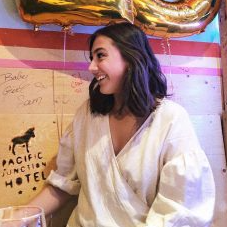 If you want to stay a night or two, you’ll need to make friends with the locals to organise accommodation. It might be a little trickier to reach this destination that other islands on our list, but trust us when we say it’s worth it. Have you been to Vietnam before? Tell us your best travel tips in the comments below.